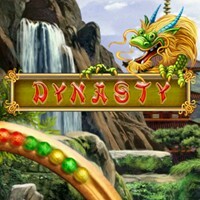 Journey through the magical world of Dynasty as you match colorful dragon eggs for rewards and riches beyond your wildest dreams! The Chinese Dragon is an ancient symbol of power, strength and ambition; of beauty, friendship and wisdom. Free the Super Dragons for special powers and they will help you all along the way! Choose from Classic or Survival Mode as you play through 30 different worlds in each mode! Enjoy serene Zen moments between levels, before setting off on your journey, once again! query: INSERT INTO accesslog (title, path, url, hostname, uid, timestamp) values('Dynasty', 'node/1488', '', '3.80.224.52', 0, 1556143360) in /home/surelion/public_html/drupal-4.6/includes/database.mysql.inc on line 66.